Still not in. We feel like we are going crazy waiting for the phone call, keeping the phone nearby at all times and jumping every time it rings. As I wait I am drawn back to God for reassurance and peace. Where else can I go? Waiting is frustrating but it is also a gift. While I wait I get to develop more patience. I am presented with yet another chance to trust God with something that is most precious to me. A couple days after I got a positive pregnancy test back in February I thought I might be having an early miscarriage because the test lines weren’t darkening like I wanted them to. I cried out to God and was reminded that this was not my story to write. This is God’s story. He is writing it, not me. So I mentally handed my baby back to Him and said, “I trust you with this baby’s life. This is your story to write, not mine.” And a great peace settled over me. So now, I give this baby back to Him again, like I’ve done many times in the past weeks and I make a decision to trust Him with my child’s life. This is not my story, and to be honest, I’m glad I’m not the one writing it. I know that His plans will end up being far better than anything I could think up on my own. I am not in control but I trust the One who is. Thank you, Lord, for what you are going to do with this child’s life, whether the baby is kell positive or kell negative. Thank you for the story you are writing and the masterpiece you are creating at this very moment. I will wait for you with anticipation and peace. Ask Him to do it but don’t tell Him how. Ask Him to answer but don’t tell Him now. then thank Him for giving much more than you ask. Ask Him to cleanse you whenever you pray. Be honest with God at the end of the day. I am now 14 weeks pregnant and on Monday we had a very important scan. We are happy to report that we got all good news. I had gone three whole weeks without an ultrasound leading up to Monday’s appointment so I was nervous baby might not be doing well. 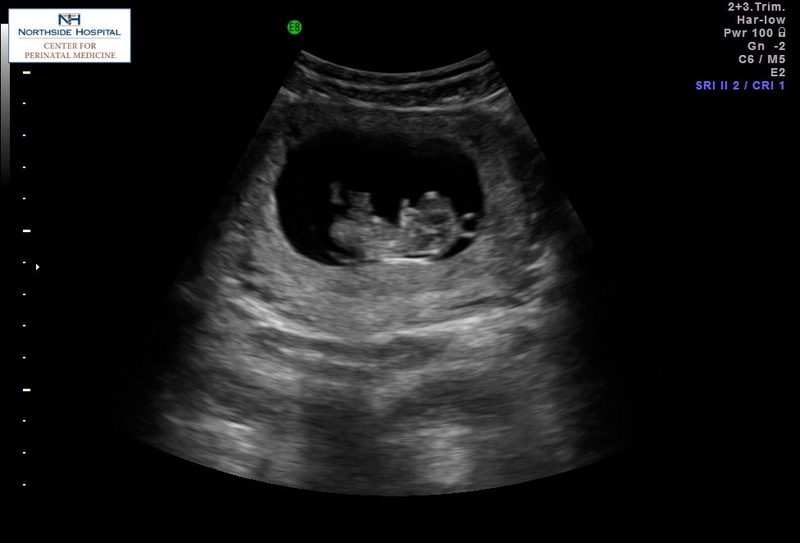 My mind kept replaying my ultrasound with Lucy when we found out she was severely anemic and my fear grew more and more intense as the ultrasound got closer. Thankfully the baby looked great and had a good strong heartbeat. (S)he was very active and all of the organs looked good from what they could see. There were no signs of distress, anemia or hydrops. I’m now a couple days shy of 13 weeks and the fear is starting to set in. This is the most dangerous time of the pregnancy for the baby. My antibodies can now attack the baby since (s)he is making red blood cells, but if the baby gets anemic there is nothing the doctors can do at this point to help. The earliest the doctors can perform an intrauterine blood transfusion is 15/16 weeks. So far, the baby looks great and I can now find baby’s heartbeat on my home doppler, so that is always comforting to hear. My first week of intensive treatments in Atlanta went really well. I have been so incredibly impressed with the medical treatment I have received at Northside Hospital. A couple of weeks ago I met with my MFM, Dr. Trevett (who reminds me so much of Dr. Moise) and my OB, Dr. Howard, and received treatment from my other two specialists Dr. Murphy and Dr. Franco. Dr. Murphy was in charge of my plasmapheresis treatments and Dr. Franco is in charge of my IVIG treatments. My insurance once again denied coverage of the plasmapheresis and IVIG treatments but Dr. Franco and his nurse, Val, worked so hard to get the treatments covered. They never asked me to do anything, they just handled it themselves and now the treatments are covered! Dr. Trevett’s nurse, Tami, has also been phenomenal, coordinating all of my treatments and appointments with various specialists and at different locations. I’m so thankful for this team of people who are working so hard to give my baby the best chance at life. I also have Dr. Moise following from afar and he is ready for us if baby gets in trouble early. This is such a different experience from my pregnancy with Lucy and the first half of my pregnancy with Nora. No fighting and challenging the doctors, no begging for the right treatment. I don’t have to print off medical studies to show the doctors how to take care of my baby, I don’t have to convince them that my baby is worth saving. I don’t have to doubt the care I am receiving. I trust my doctors and I have confidence in them. They respect me enough to listen when I tell them something and they collaborate with me for the best treatment possible. This is how healthcare should work. This is how a doctor-patient relationship should look. It is so worth the drive to have such amazing medical care and to have peace of mind. I wish I had known all of this when I was pregnant with Lucy. She would probably be alive today if I had only known in 2013 what I know now. We had the genetic blood test done at 10 weeks to check baby for genetic conditions (trisomies) and got the results back at 11 weeks. We are so thankful to have a genetically normal, healthy baby! What a blessing! 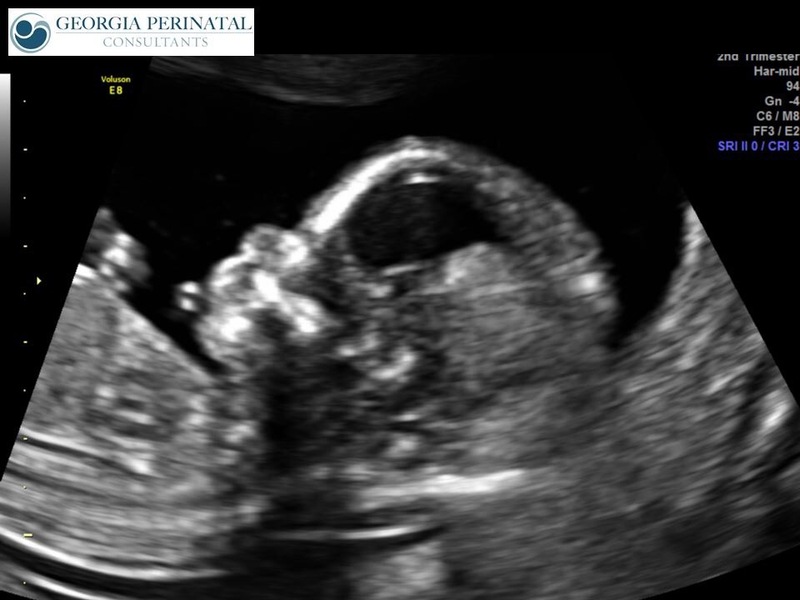 We also learned what the baby’s gender is but we won’t be telling anyone until after we find out the baby’s blood type. We feel like the blood type is more important than the gender so we will reveal the gender after we tell everyone whether baby is kell positive or kell negative. We should know those results in about 2-3 weeks. Thankfully this time I don’t have to do an amniocentesis like we did with Nora. I will be trying a new, non-invasive maternal blood test at 14 weeks to find out whether baby is kell positive or kell negative. Please pray that this baby is kell negative! Some other good news we received came in the form of my antibody titer. I had three rounds of plasmapheresis (when they remove the plasma from my blood.) The plasma is where the antibodies are contained so the plasmapheresis treatments are used to try to lower the antibody titer (level) in my blood. When I had these treatments done with Nora my titer barely dipped at all and shot right back up to where it started (1,024.) I was expecting the same thing to happen with this pregnancy but we just found out that my titer after the third round of plasmapheresis was 64! What in the world?! My titer has never, ever been that low before so we are very happy about these results. We aren’t sure exactly why my titer went down so much this time…Could the baby be kell negative? Could the plasmapheresis treatments in Atlanta be better than the ones I had in Alabama? Maybe they removed more plasma this time? Could my body just be responding better to the treatments this time around? We don’t know, but we are thankful that the treatments seem to be working well so far. Often, in subsequent pregnancies, a woman’s titer goes up and the antibodies become more aggressive. It is rare for the antibodies to become less aggressive or for titers to go down in subsequent sensitized pregnancies. The fact that my titer got so low doesn’t mean that my baby will be less affected than Nora. It just means that the treatments are working and we can assume that my antibodies have not become more aggressive, which is very good news. Please continue to pray for our baby. My next ultrasound is on April 24th when I am 14 weeks pregnant. I will update you after that appointment and then hopefully soon after that we will do a blood type/gender reveal! Thank you for following along and being so supportive. Our baby is blessed to have such an army of encouragers rooting him/her on! Here is my last ultrasound of baby at around 10 weeks. Super active with a good, strong heartbeat.